Goldust’s new partner for WWE’s Mixed Match Challenge has been revealed and it is none other than Absolution member and fellow Raw superstar Mandy Rose. 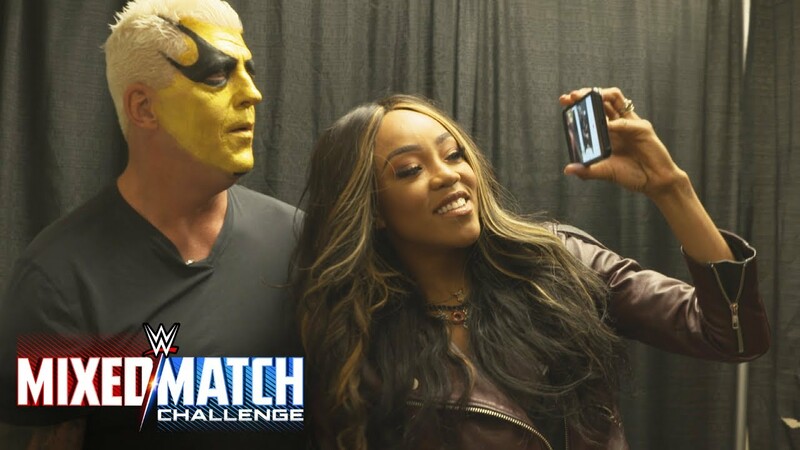 On social media, WWE announced Goldust and Rose would face the husband and wife team of Smackdown Live superstars Naomi and Jimmy Uso on the Feb. 6 episode. Goldust was originally supposed to team with former Divas Champion Alicia Fox for the tournament. However Fox suffered a broken tailbone and is expected to be out of action for a few months. The injury also prevented her from competing in the Women’s Royal Rumble match on Sunday. This pairing of Goldust and Rose provides a new dynamic for the Challenge and it will be interesting to see how they work together as a team. Rose is a relatively new face to the Raw roster, spending time in NXT before introduced to the main roster, while Goldust has a wealth of experience and knowledge he can pass on to his teammate. The winning team of the Mixed Match Challenge will earn $100,000 for the charity of their choice. Goldust and Rose’s charity is Hire Heroes USA, which nonprofit organization that empowers U.S. military members, veterans and military spouses to succeed in the workforce. Goldust and Rose are one of six teams representing the RAW brand, which is currently 3-0 in the tournament. The team of Sasha Banks and Finn Balor defeated Smackdown Live’s Shinsuke Nakamura and Natalya in the first episode of MMC. In the second week, Intercontinental Champion The Miz and Asuka won their first-round match against Money in the Bank winner Carmella and New Day’s Big E.
On this week’s episode, Raw Women’s Champion Alexa Bliss and Braun Strowman defeated Becky Lynch and Sami Zayn to advance to the next round. When the MMC was first announced, fans were a bit skeptical because of it airing on Facebook Live. However the tournament has brought some excitement to WWE programming. The different pairings are fun to watch, whether it is Charlotte Flair “switching” robes with her MMC partner Bobby Roode or Banks and Balor coming up with the name “Demon Boss.” Lynch and Zayn have also had some fun interactions leading up to their match, including Zayn trying to turn the Lasskicker to the heel side. Another pairing that has grabbed fans’ attention is Strowman and Bliss. The duo worked well together during their match, with Bliss hitting her Twisted Bliss off Strowman’s shoulders. The two complimented each other, before announcing they were “going all the way” and winning the MMC. What’s fun about all of this, is fans get to see Strowman, who is really funny, have a soft spot for his partner. WWE is only a few weeks into the MMC, but all signs point to it being a hit and hopefully the company will create more tournaments with unique concepts that take their superstars outside of the realms of Raw and Smackdown Live.